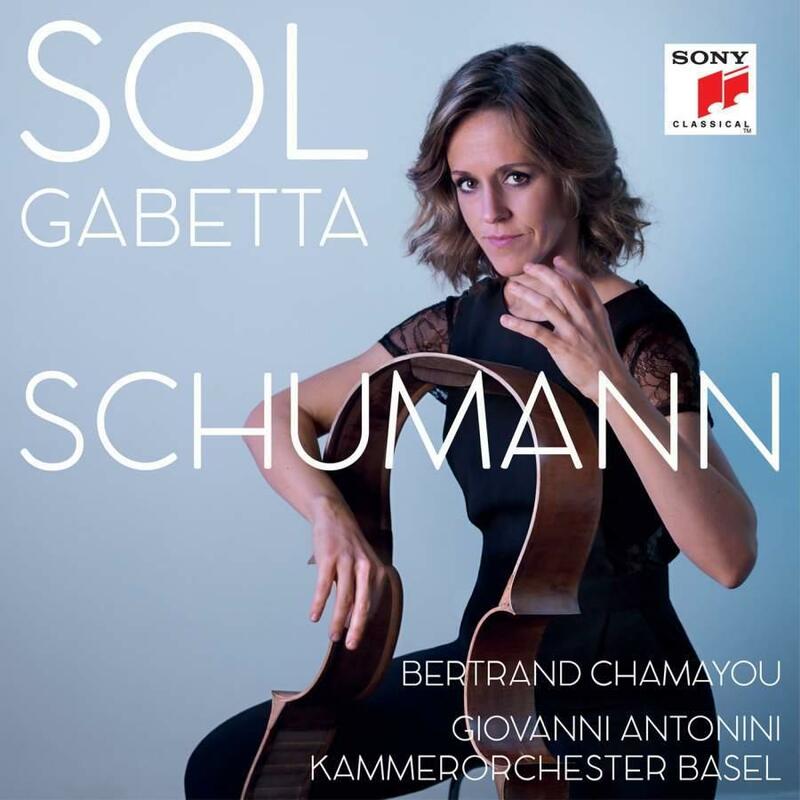 Schumann is the new album from the critically acclaimed, Grammy nominated cellist Sol Gabetta. This recording features a recording of Schumann’s cello concerto with the renowned Kammerorchester Basel under the direction of Giovanni Antonini. Sol Gabetta also teams up with the wonderful French pianist, Bertrand Chamayou to record Fantasy Pieces op. 73, the Adagio and Allegro op. 70 and the Five Pieces in Folk Style op. 102. Sol Gabetta has performed at many prestigious venues across the globe including Wigmore Hall in London, Lucerne, Verbier, Schwetzingen and Rheingau festivals, Schubertiade Schwarzenberg and Beethovenfest Bonn. Gabetta has received many awards including the Herbert von Karajan prize awarded at the Salzburg Easter Festival and the Gramophone Young Artist of the Year Award in 2010. One of the most heartbreaking things I read when doing my research for this review was that a piece that is loved and adored around the world today was never premiered during the composer’s lifetime. The composer never had the chance to see how the work was not only appreciated for its own merits but also went on to inspire and change the course of composition for the instrument and genre. That is the case for Schumann’s Cello Concerto, which was written astonishingly swiftly in two weeks in 1850. So many of his contemporaries were put off by his forward-thinking compositional style; it wasn’t until four years after his death that it was finally performed. Today we have the fantastic and very popular Sol Gabetta taking as many of Schumann’s cello works as she could get her hands on and cramming them into this delight of an album. Starting with the ‘Five Songs in a Folk Style’, she also presents the Adagio and Allegro and the three Fantasy Pieces with her friend, French pianist Bertrand Chamayou. Then, she finishes with the epic Cello Concerto, which nowadays is generally considered one of the top three greatest Romantic concertos ever written for the instrument.